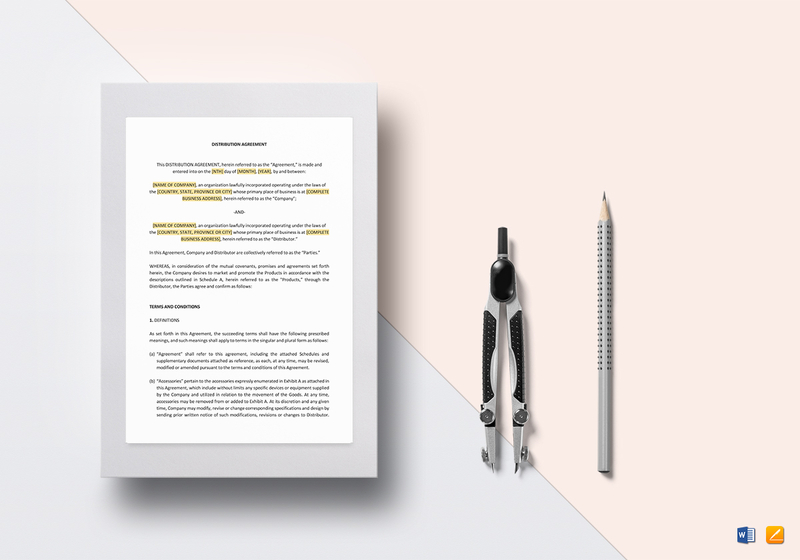 Use this Distribution Agreement Template to create a tangible basis for any distribution of products for your business. Click on download and get instant access to this amazing fully customizable template. Edit with your favorite program that supports MS Word or Pages file formats. 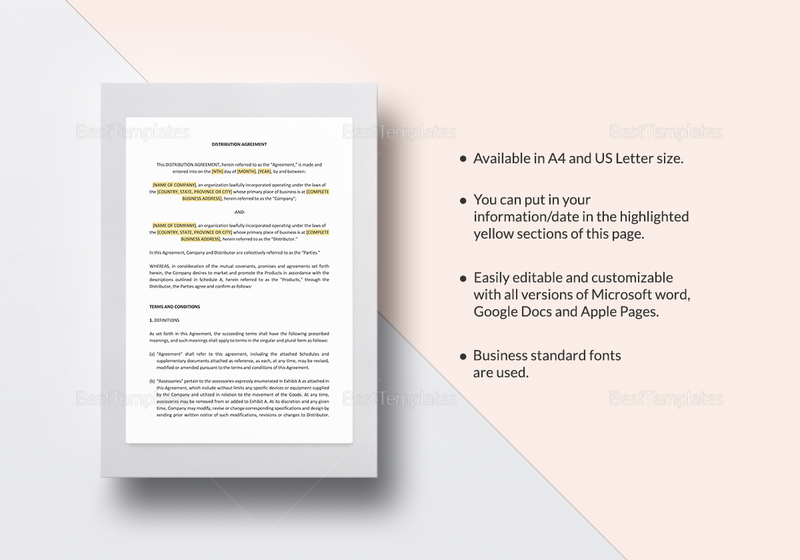 Just replace the yellow highlighted sections with your information and finish writing within minutes.